Despite a rough road traveled and lower expectations than usual, Ant-Man was a financial and critical success, proving yet again that Disney and Marvel have a truly special formula that rarely misses. Because of this, it was announced recently that a sequel to the movie titled Ant-Man and the Wasp was officially happening. Now it appears that a new director doesn’t have to be hired to make the sequel as it’s being reported that Peyton Reed, who replaced Edgar Wright when he departed the first movie, has entered into negotiations to return for the sequel. 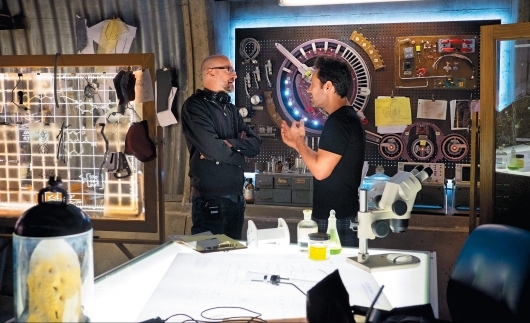 Avengers: Age of Ultron may have received the bulk of the hype (not to mention the box office), but it was Ant-Man (check out Adam Frazier’s review at GoD from July, as well as my complete timeline of the film’s troubled development) that turned out to be the Marvel Studios’ summer release of 2015 that had audiences going back for second (and maybe third and fourth) helpings. I know I did. 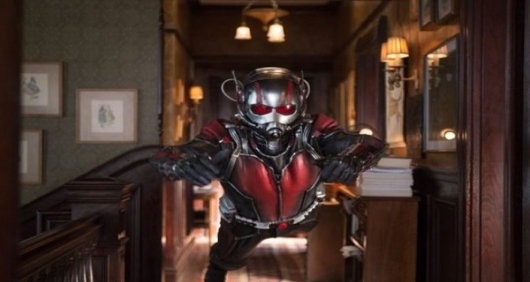 Over a week following the surprise announcement that Marvel had put into development a sequel called Ant-Man and the Wasp for July 2018, the studio has revealed that the original that proved to be a resounding success with critics and audiences will be coming to home video on multiple viewing formats including Blu-ray and 3D Blu-ray just in time for the holiday shopping season. 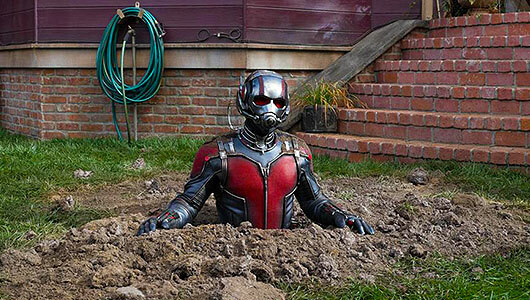 You can check out a trailer and cover art for the Blu-ray releases, along with ten minutes of behind-the-scenes footage from Ant-Man here below. Marvel Studios has just announced a huge change in their Phase Three movie schedule, with the addition of one sequel to the roster and release date changes for two promising franchise starters. The July 2018 release slot that originally belonged to Black Panther – which just snagged Joe Robert Cole to write the script – has been given to Ant-Man and the Wasp, a follow-up to Marvel’s surprisingly successful (over $400 million in worldwide box office) blockbuster Ant-Man. An unexpected mix of Innerspace, Matinee, and Small Soldiers, Ant-Man feels like the kind of superhero movie Joe Dante might have made in the ’90s. The final entry in “Phase Two” of the Marvel Cinematic Universe, Ant-Man is a playful sci-fi caper that blends fantastical special effects with an offbeat sense of humor. Directed by Peyton Reed (Bring It On, Yes Man), Ant-Man stars Paul Rudd as Scott Lang, an ex-con serving up Mango Fruit Blasts at Baskin-Robbins and sharing an apartment with his former cellmate, Luis (Michael Peña). Behind on child support payments, Lang joins Luis and his crew (Tip “T.I.” Harris, David Dastmalchian) on one last job: breaking into the home of Dr. Henry “Hank” Pym (Michael Douglas), a scientist and former S.H.I.E.L.D. agent. During the Cold War, Pym and his wife, Janet van Dyne, battled Soviet spies as Ant-Man and Wasp, a pair of insect-controlling, half-inch heroes. This was made possible by Pym’s discovery of what he calls “Pym Particles” – subatomic particles that can radically shrink or enlarge objects. 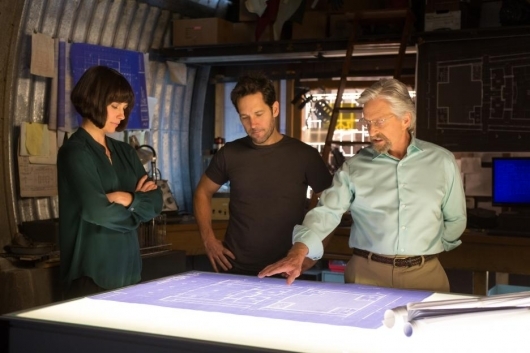 After breaking into Pym’s high-tech vault, Lang discovers the Ant-Man technology collecting dust and decides to swipe it. 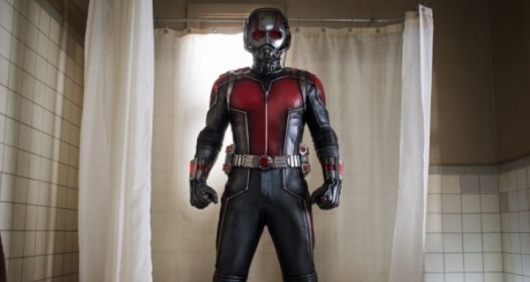 This week, the much-anticipated Ant-Man hits theaters. Cast Paul Rudd, Evangeline Lilly, Michael Douglas, Corey Stoll, Michael Pena, director Peyton Reed, and MCU head superhero Kevin Feige sat down with press to talk about the exciting characters that are gonna hit the screen. Marvel won’t be making any big marketing push for Ant-Man at Comic-Con this year, the film has already been getting some surprisingly great reviews. But the studio is bringing us one final trailer before the film’s release. As always, there is new footage to look at, as well as some familiar ones. 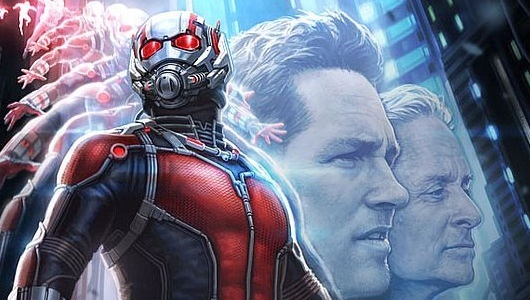 But the trailer makes a point of acknowledging its existence within the Marvel Cinematic Universe, by asking those nagging questions about why aren’t some of the more qualified heroes there to help Hank Pym (Michael Douglas) and Scott Lang (Paul Rudd), and insulting those same heroes as well.